This is my third blog about German sayings (always brought to you on the 20th of each month! :-), and today, I'd like to introduce you to someone who's very clever and who knows all tricks - in short, someone who's "washed with all waters" (mit allen Wassern gewaschen). Apparently, this saying goes back to old sailors. They sailed across the oceans and washed themselves with many kinds of water -- and in the course of their life, they picked up a lot of knowledge. Off the top of my head, I can't think of an equivalent saying in English. Oh, yes, I do. How about "There are no flies on him/her"? I think that fits, doesn't it? And now we immediately have the next question -- where on earth did that saying come from? Do you know it? And while you answer, don't forget to sign up for our Sweet Romance Reads newsletter to be always updated about our on-going promotions and events! P.S. 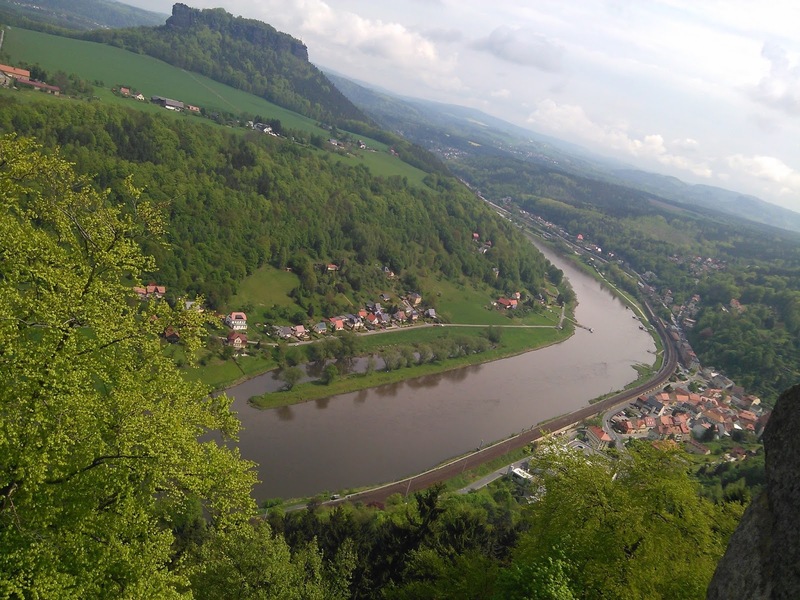 This is a picture taken from the "Festung Koenigsstein" in the East of Germany. I have visited Germany several times and hosted a German exchange student for a year. I'm enjoying these German sayings, Beate! Glad to hear this, Josie! If you ever come again, get in touch, and we'll chat!